Dear lord, will this rain never end? 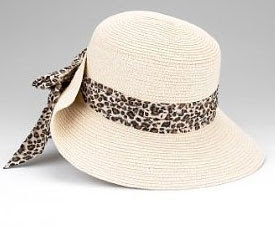 It might feel like that now, but I know a lot of our readers are jetting off for lovely holidays so this fantastic hat from M&S will come in totally useful. I only got into the hat scene a couple of years ago when I found an adorable (and mortifyingly expensive) white trilby in Spitalfields. I am now converted, if for cheaper hats. This not only looks fabulous on, but solves the perennial problem of what to do with the back of it when you're sitting in your deckchair reading, snoozing and reaching for yet another G&T. The M/L version fit me perfectly and it's a bargainous £12. It's also one of the best-reviewed M&S products I've ever seen. Something to stock up on now and look at when the next monsoon hits - roll on summer, you're not that far away! Heh, Kat in the hat. Ahem.